What does "The Golden Rule" have to do with coaching youth soccer? "You're incompetent!" "You're wrong, and that's it." "That's a crazy idea, Were you serious?" We've all heard it. We might even have said it, if even to ourselves. I know I have on occasion. But is it right? Is it ever justified? When did it become OK for our interpersonal conduct at sport to be on a lower level than the rest of our day? Like everything else in life, participation in sports involves relationships that need nurturing and respect. 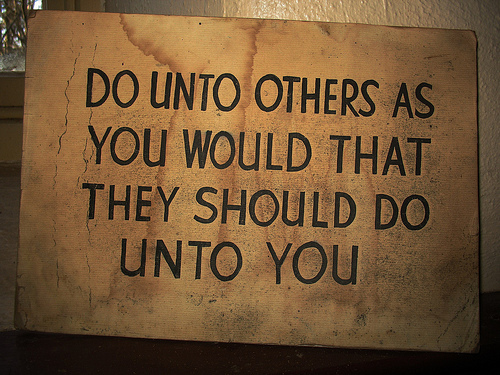 The Golden Rule. This might be the absolute one thing that can make your life easier and more successful when you're involved in sports. Actually, it makes your life easier with whatever you're involved in.